Moments of Adventure: Last Moments of 2014! So much to say, so little time before 2014 bides farewell. 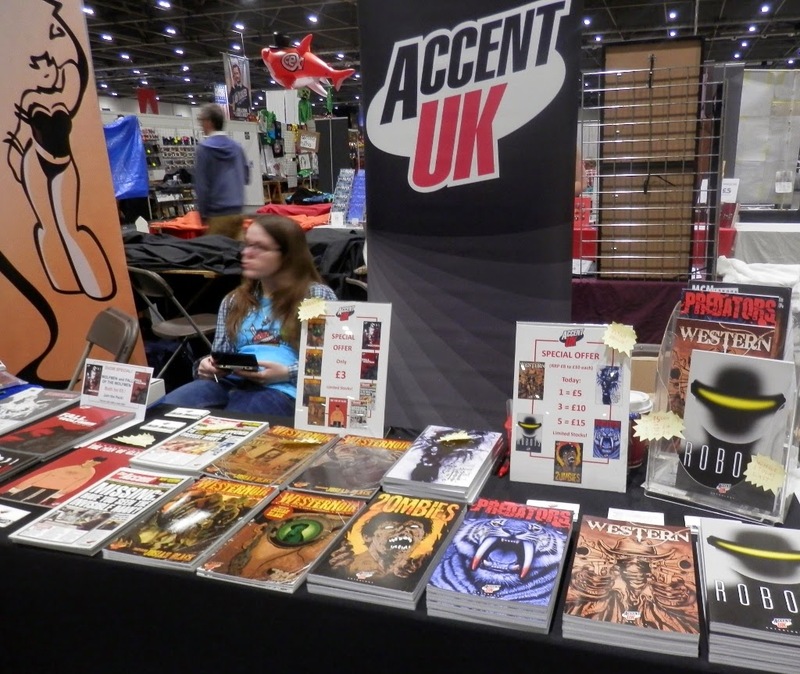 Comics-wise, 2014 was Accent UK's best ever in terms of reception, convention appearances and most importantly sales, with our highest ever sales since we began way back in 2002! 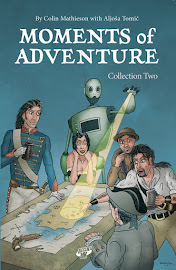 All told we attended 10 comic festivals, one fewer than 2013, but by making some big changes in our schedule and by taking a few risks, we almost doubled the previous year's total! 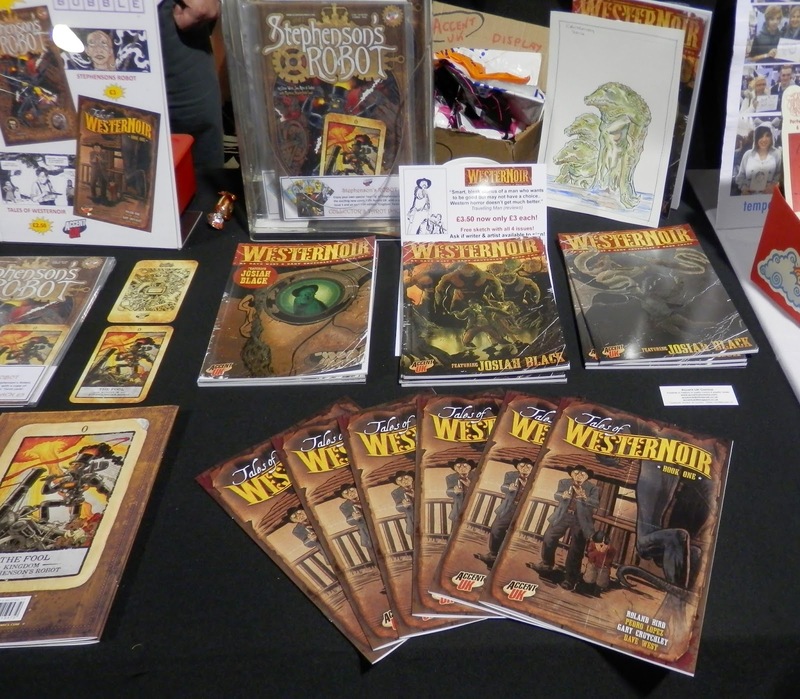 Amazing stuff and difficult to fully analyse but those important show decisions coupled with the success of an ongoing comic series - here's looking at you WesterNoir - and a few bold discounts on older books helped reach new audiences and make 2014 a successful year for us. We only repeated 3 of 2013's shows, adding 7 'new' ones taking our tour bus to Scotland and Dundee & Glasgow, across to Northern Ireland for the first time for Belfast, across England from furthest Maidstone, Birmingham, London, Leeds, 'hometown' Manchester and our first ever show in Finland at the Helsinki Comics Festival, so quite a year! There are a few more adventures to new places planned for next year alongside some welcome returns to, hopefully, most of the events we attended this year, will we have such a great year again? Well we'll have to work even harder if we are to, plus of course produce a few new books to replace those now sold out or dangerously low on stock, so plans are underway.......More later but to all readers of our books and those who support us in many ways, best wishes and Happy New Year! Accent UK in the Helsinki Comics Festival marquee!